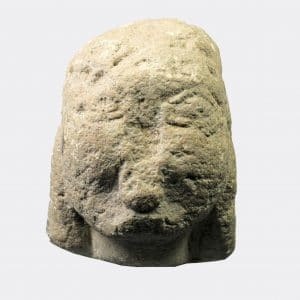 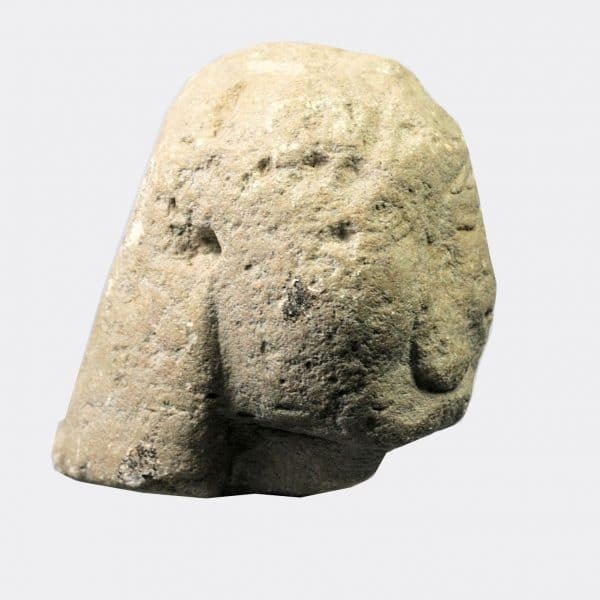 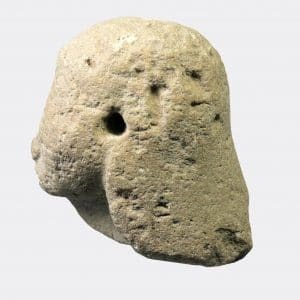 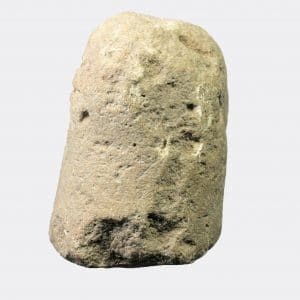 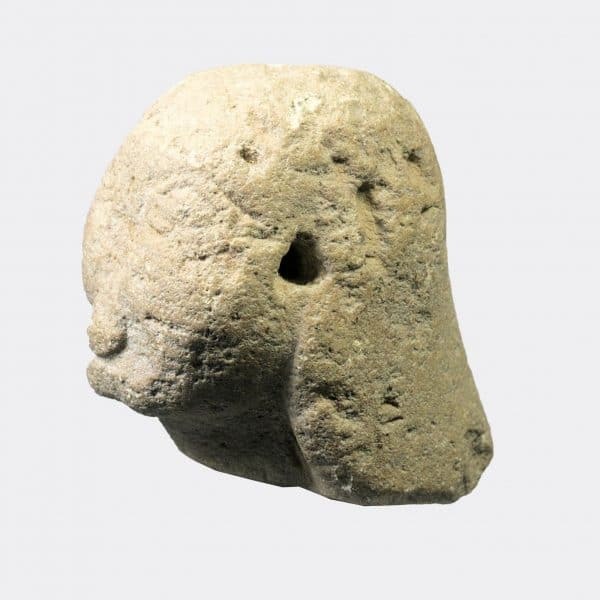 A rare carved limestone head with typically Archaic features including high cheek-bones, voluminous eyes and long hair. 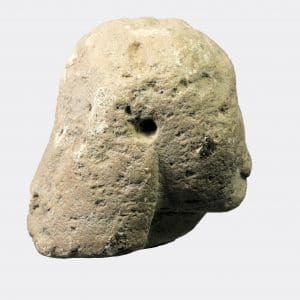 The profile of the head and shape of the hair locks suggests it may originate from a sphinx rather than a kouros figure. The style of carving is close to the kouros sculptures known as Kleobis and Biton, now in the Delphi Museum, Greece.